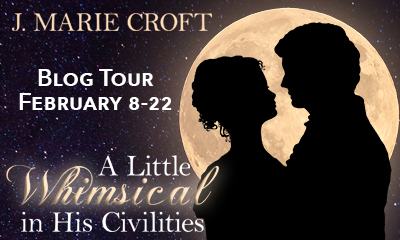 Today I’m lucky to receive in From Pemberley to Milton J. Marie Croft with a guest post as part of her blog tour for A Little Whimsical in His Civilities. Told entirely from Fitzwilliam Darcy’s point of view, J. Marie Croft’s humorous novella, A Little Whimsical in His Civilities, spans one moonlit, autumnal night upon the gentleman’s return to Hertfordshire in pursuit of Elizabeth Bennet. Accompany Darcy as he, intent on reversing the disastrous first impression he made there, braves another Meryton assembly and seeks to win his heart’s desire. 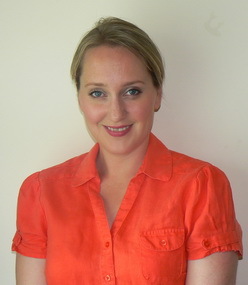 Thanks, Rita, for allowing me the honour of writing a guest post for your blog. Because you’ve been so gracious … and brave (After all, one never knows what nonsense might leak forth from my pen! ), your reward will be an entirely pun-free post. There’ll be no wordplay, I promise. But, because I’m a word nerd, this will be about words … or, at least, one in particular. Within the pages of Pride and Prejudice, one of my favourite words is spoken by Mr. Gardiner while he, his wife, and Elizabeth are leaving Pemberley the first time. When Austen used whimsical in that passage, she conveyed Mr. Gardiner’s leeriness of Mr. Darcy’s invitation to fish at the estate’s stream. He supposed such an eminent gentleman might be capricious – temperamental, changeable, unpredictable. Whimsical may not be the first word one thinks of when asked to describe Fitzwilliam Darcy, but he is changeable. For the love of Elizabeth Bennet, he amends his ways and becomes a better man. Accordingly, the word whimsical is used in the capricious context in my novella’s title. Albeit the outwardly well-mannered Mr. Darcy in that story might be described more aptly as a little snarky in his thoughts. For instance, initially he thinks of Mr. Jones as a pestiferous, hedge-born minnow. Later in the story, Mr. Jones is thought of as ‘the accommodating apothecary’. See? Mr. Darcy does change for the better, not only in his mind but in his outlook on life. He’s changeable. I’m glad Austen used ‘whimsical’ instead of the more uncomplimentary ‘capricious’ (given to sudden and unaccountable changes of mood or behaviour). However, I prefer the word whimsical for its other meaning. Although Johnson’s Dictionary includes ‘freakish’, the second sense of whimsical is playfully quaint, oddly fanciful, unusual, especially in an appealing and amusing way. Since fanciful means over-imaginative and unrealistic, some may say Pride and Prejudice’s Mr. Darcy is, indeed, whimsical in the fanciful sense — a ‘too-good-to-be-true’ fictional character. He’s not all goodness, though. He has his peccadillos; and we all, at times, own churlish opinions. So, what insults, slurs, set-downs, or – heaven forbid! –bawdy thoughts might run through Mr. Darcy’s mind? Jane Austen gave us few clues as to what the gentleman was thinking. So I, rather audaciously, plunked myself inside the man’s head and changed the events following his and Bingley’s return to Hertfordshire in the autumn after Hunsford. At one point in the novella, while thinking of (and lusting after) Elizabeth, Mr. Darcy dances with another young lady. … I am so thankful you cannot read minds. Casting me a distrustful glance, the lady tosses her head and looks away. What? Oh God, you cannot read minds, can you? No, no, of course not. 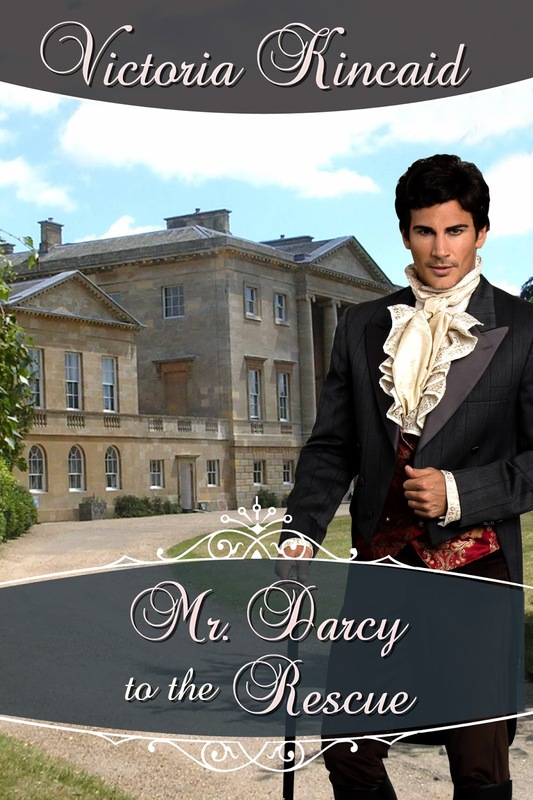 Oh, Darcy, your dance partner can’t read your mind, but readers of A Little Whimsical in His Civilities certainly can. Now I’d like to get inside your head and know your thoughts about the word whimsical and what it means to you. What sort of images does that word conjure up in your mind? For me, whimsical often implies a sense of unworldliness, as in things mystical, imaginative, fantastic, or fey. Like this. 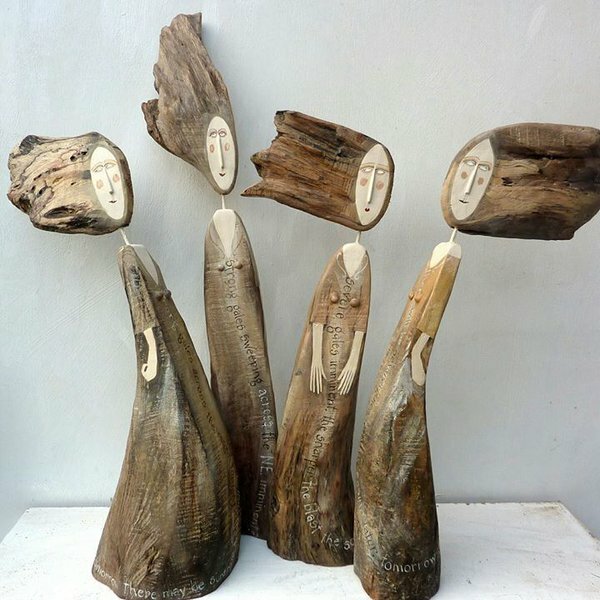 These wooden dolls exemplify the playfully quaint kind of whimsy found in folk art. 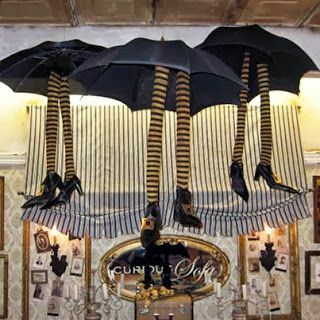 All manner of quirky, off-the-wall (or dangling-from-the ceiling) items – such as whirligigs, zany sunglasses, or eye-catching umbrellas – might be considered whimsical. 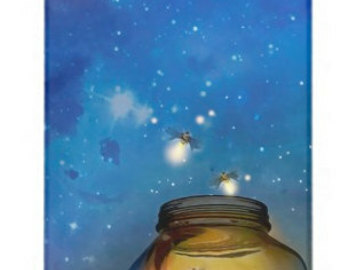 Then there’s the ethereal, delicate sort of whimsy … things like fireflies, dandelion fluff, and twinkly lights. Those images were gathered for my Pinterest board, What’s Whimsical? Have a look there, and see if you agree with my choices. Another board, A Little Whimsical in His Civilities features quotes from the novella accompanied by befitting imagery. 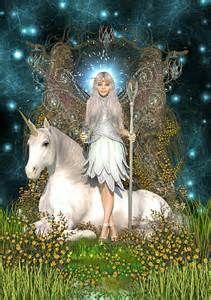 Your thoughts on Whimsical (the word, my Pinterest board, or my novella ) will be appreciated. Marie Croft is a self-proclaimed word nerd and adherent of Jane Austen’s quote “Let other pens dwell on guilt and misery”. Her light-hearted novel, Love at First Slight(Meryton Press, 2013), her humorous short story, Spyglasses and Sunburns, in the Sun-Kissed: Effusions of Summeranthology (Meryton Press, 2015), and her novella, A Little Whimsical in His Civilities (Meryton Press, 2016) bear witness to Joanne’s fondness for Pride and Prejudice, wordplay, and laughter. I don’t usually buy Novelas, even if the premise is interesting, I always prefer to read longer books than a short story. But I had just finished Compromised by J. Dawn King, and the excerpt of The Trouble with Horses was in the end of the book, so I gave it a try. Truth is, I really loved the excerpt and the premise! And once more I was proven wrong when it comes to “rejecting” something in JAFF! I should know by now that even if there are genres I prefer, I should not exclude anything in JAFF! 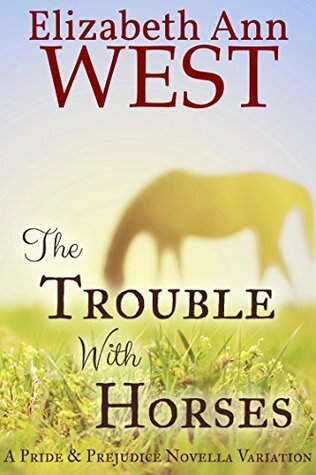 The Trouble with Horses proved me I cannot deny novellas, as I may end up loving them as much as I love a longer book. The novella starts with Elizabeth finding a lost horse that leads her to an injured Mr. Darcy in the middle of the forest and surrounded with snakes. Obviously, our heroine will scare off the snakes and get help for the unknown gentleman who is then taken to Longbourn for recovery. Mary’s character was a surprise in this book. I liked how the author was able to give more importance to this character by making her the love interest of another much loved hero :). Mary is one of those characters I always like to see developed. I think that Austen’s character was not meant to be very interesting, but I also feel there is a lot of potential in her to be developed in JAFF. There was a detail I particularly liked in this story, and I know the Portuguese readers will like it as much as I did 🙂 The author quoted a part Sir Walter Scott’s The Vision of Don Roderick that mentions Portugal. A small detail, I know, but it always makes me smile. I also liked the scenarios and how the story evolved. I was just sorry that this book was indeed very short and could be read in a couple of hours. I think it has all the potential to be a great longer book, and I wish the author will consider developing this book in the future by adding more scenes to it. I would enjoy reading more scenes of Elizabeth taking care of Darcy after the accident, more interactions between them in Hertfordshire, and much more story in London. I think the story is very well put together, but by extending it, the author would make it even better. If you like short stories or novelas, I think you will love this book! I had recently written that I would really like to read a book where Mr. Darcy knew of Mr. Collins proposal. I always thought it would be interesting to read about his reaction to this news. But in my mind I always thought about Mr. Darcy discovering Collins had proposed, rushing to Longbourn to try ascertain the situation and discovering that Elizabeth had refused Mr. Collins. Visctoria Kincaid took this to a whole different level! What if Elizabeth was about to refuse Mr. Collins when she discovered her father was very ill and could die in the next months? What if this new information made her accept Mr. Collins to secure stability to her family? And what if Mr. Darcy discovered she was engaged to Mr. Collins after the fact? This premise was even better than what I had imagined. I loved it! Mr. Darcy realizes he cannot live without Elizabeth and he cannot bear to see her married to someone else, especially Mr. Collins, so he comes to the rescue! Mr. Darcy travels to Longbourn in the hopes of ending Elizabeth’s engagement to Mr. Collins and gaining her affection, but of course, things are never this simple and we end up visiting Kent, Derbyshire and London as well. 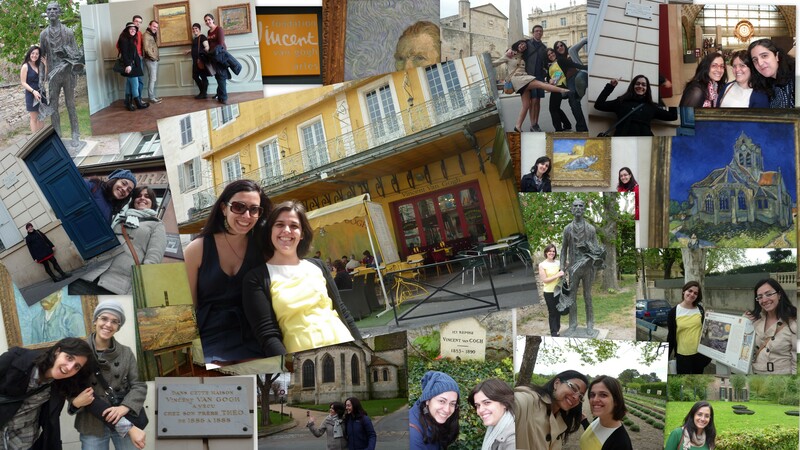 One of the things I loved in this book is that we visit all these places in the company of Elizabeth and Mr. Darcy. We are constantly reading about their interactions, of course there are other characters, but Elizabeth and Darcy are present in most of the book, and this is something I really enjoy. After reading so many JAFF books I confess I’m more and more interested in Elizabeth and Darcy’s interactions than the rescue of Lydia, for example. Even though I did like Lydia’s rescue in this book. I will not give any details as I don’t want to spoil it for you, but it is very funny. The journey is lighthearted, fresh and funny. 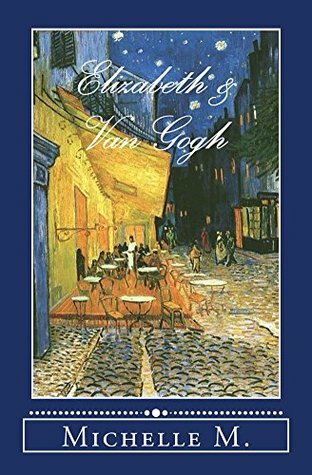 I adored reading the book from the perspective of both characters, and I loved reading their thoughts in the middle of the conversations. It made me feel closer to them, and it made the book funnier. 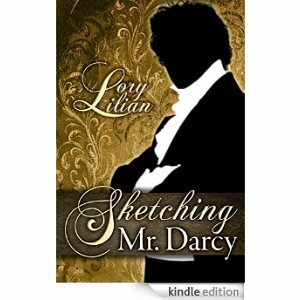 The Darcy in this book is romantic, decided, but with his natural flaws which just makes him perfect. Elizabeth is true to herself and we see her fall in love with Darcy in a charming way. This is the 3rd book I’ve read from Victoria Kincaid, and once again she wrote a book that is never boring and that keeps urging us to read it without stopping. I was just sad it was so short. I would like to have read much more, for example, more Darcy scenes by himself at Netherfield, more interactions at Rosings between Elizabeth and Lady Catherine, but also between Lizzy and Darcy, more Elizabeth’s confidences to Jane in Pemberley, etc. I consider this book quite different from the other 2 I have read from Victoria Kincaid (and that I loved!) which proves to me she is really a creative writer. She can write different types of books and provide us pleasurable moments each time. The only reason I didn’t rate this book higher is because of the length, but definitely a good book to read. I had wondered why I never read a book where Mr. Darcy would find out about Elizabeth’s refusal of Mr. Collins’ offer right after it occurred. It was always something I thought I would enjoy reading about. Lory Lilian finally made it real! It wasn’t what I expected or imagined because the consequences of such information were practically inexistent, but still, this was an excellent beginning and kept me interested in the book. What if Mr. Darcy encountered Lizzie on the day of his departure from Netherfield and she was freezing and completely wet from falling into a pond? He would obviously help her, and assist her to get home, but what if rumours were to start from there? Mr. Darcy would be bound by honour to make Elizabeth an offer of marriage, and taking into consideration the rumours…she would have to accept. This is how Sketching Mr. Darcy starts, and in my opinion it is a very good idea. I liked the premise and I loved the fact that Mr. Darcy did not change after being engaged to Elizabeth. He continue to be himself, but as she got to know him better, she got to understand him. 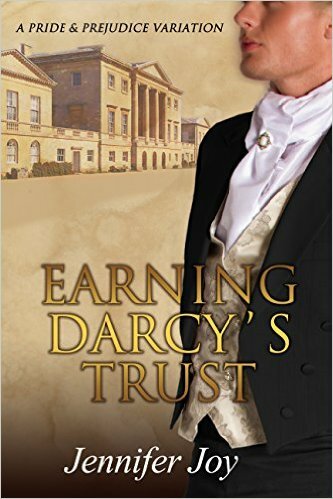 At first, I did not enjoy having Darcy proposing to Elizabeth without admitting to anyone, not even himself that he was in love with her. I believed this would take away the intensity of the book. But it didn’t, by the contrary, it was essential to create an atmosphere of true understanding, respect and love between both characters. Instead of having Darcy loving Elizabeth and trying to make her love him, we see Darcy also falling in love with Elizabeth. 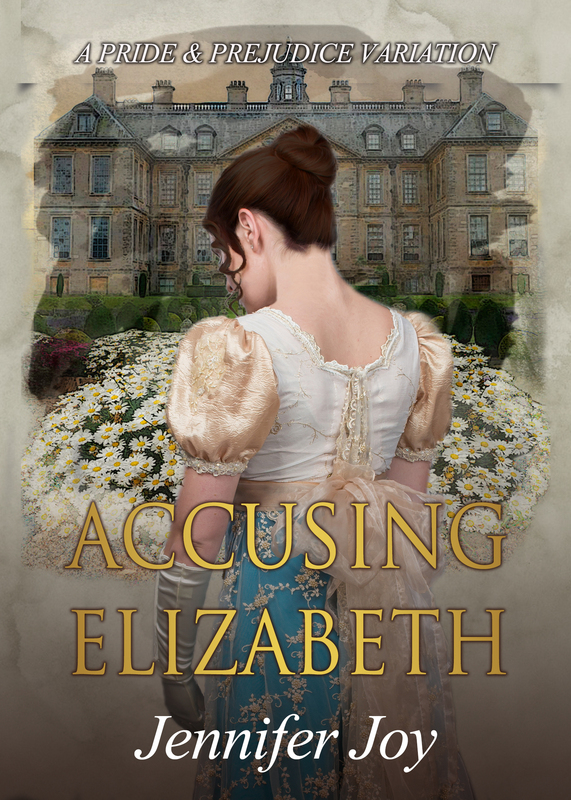 We see him finding many aspects to love in Elizabeth and not just her wit and playfulness. This was something I really loved. Lory Lilian was able to create a very solid story with a profound character development. For example, Elizabeth and Mr. Darcy do argue at times, but their arguments are actually based on relevant aspects. Unlike many books where the argument is not valid, credible or important, but just based on some childish stubbornness by one or the other, in this book we see arguments with a valid foundation. Also, even though some readers might find the book a little too slow paced, there was always something to look forward to in it. When the author answered what we wanted to read, she immediately created another situation that we wanted to see unfolded. The entire book was well structured. And the characters were perfect. This Darcy was perfect and Elizabeth as well. I found her struggle between behaving as Elizabeth Bennett would have or as Elizabeth Darcy should quite interesting. The new characters were a plus as well, Annabelle Stratford was a good addition to create some jealousy, but also to demonstrate the strength of their love and the impressive way how Elizabeth could handle situations. I did love the book. Lory Lillian was always one author that kept appearing on my must read list, but for some reason, I never read anything from her until this month. I wish I had done it before, as she is definitely one author worth Reading!